The holiday season will be here before any of us know it and if you’re like me? You already know that it is a fantastic time to find yourself and your household really unorganized. Usually that leads to me running around like a chicken with my head cut off trying to manage everything that I have to get done. 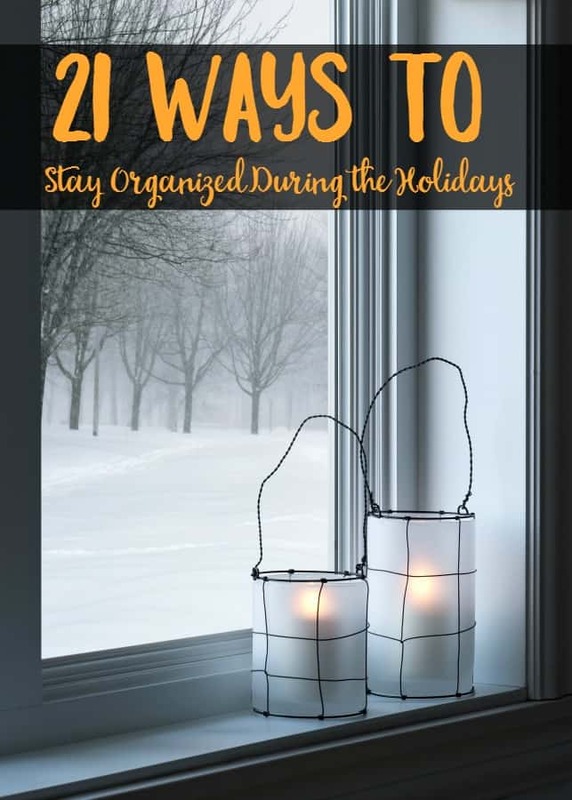 That’s why this year I wanted to sit down and figure out a few home organization tips to help you stay organized this holiday season. I figure even if they don’t work for both of us, hopefully one of us living a more organized life during the holidays is better than nothing. Man! I sound really disillusioned, don’t I? Maybe that is because last year, our holiday season was so very unorganized that I ended up going over my budget by several hundred dollars. Or maybe it is because the holiday season is well-known to be one of the most stressful times of the year for families. Or possibly, just maybe, it is because it is usually during the holiday season that most people start to look around their homes and realize just how unorganized their life has truly become. After all, how many times have you made a New Years resolution to get more organized? In any case, following a few home organization tips is a great place to start putting any disorganized pieces back together. The biggest thing to remember when you’re reading home organization tips, whether they’re for the holidays or just in general, is that not every tip will be a fit for your family. Instead of trying to fit your family into the home organization tips, pick and choose which tips will fit your family and go from there. It might not look like a holiday wonderland outside just yet, but Pinterest is one all year round. This means that you can start your planning early and by the time that the season actually does get into full swing, you’ll be done. You can use it to find easy Christmas decor ideas, holiday recipes and even gift ideas. Just be sure that you don’t fall into the Pinterest time vortex and get lost. While you’re at it? Have you followed Six Dollar Family on Pinterest? One of the biggest stress triggers that most families have during the holidays is their budget. Usually they haven’t set one at all or they haven’t updated their family budget to include their holiday spending. The first part of keeping yourself organized during the holidays is to update your family budget to include any spending that you might have during the holidays. Make sure you include room for your holidays groceries, gift ideas and decor if you do that sort of thing. Speaking of your budget, it is always smart to pad it if possible. This means making extra money to cover any expenses so that you aren’t actually having to pull from your normal income. There are a lot of ways that you can do this. You can pick up a side job to earn extra cash, you can start a blog like this one to earn, you can sell things you no longer need and so on. The list of ways that you can earn extra money really is pretty endless. I personally follow a system that I designed that earns me a minimum of $225.00 extra each month. Around September or October, I start banking that money for the holidays. 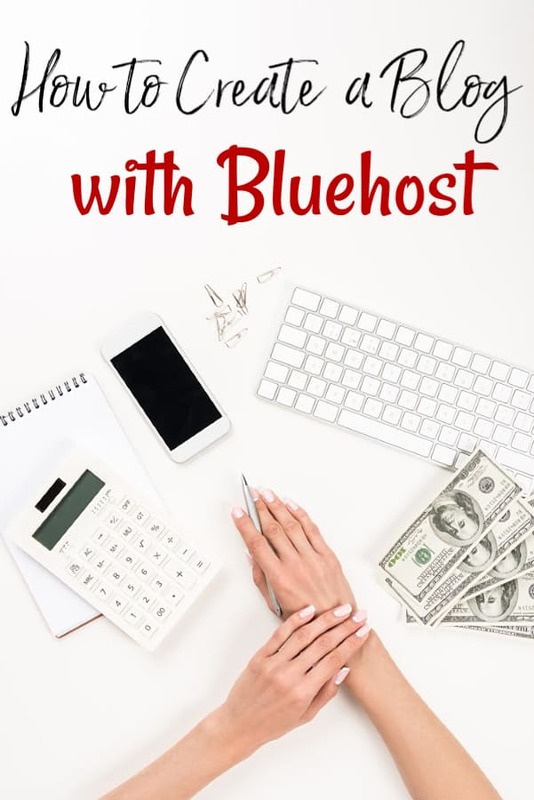 By the time that they roll around, I’ve got enough saved in gift cards or cash to cover the expenses for the most part.You could even start learn how to start a blog for just a few dollars that will earn you. If that doesn’t work, I have a list of 39 ways to earn money online that might be able to help as well. 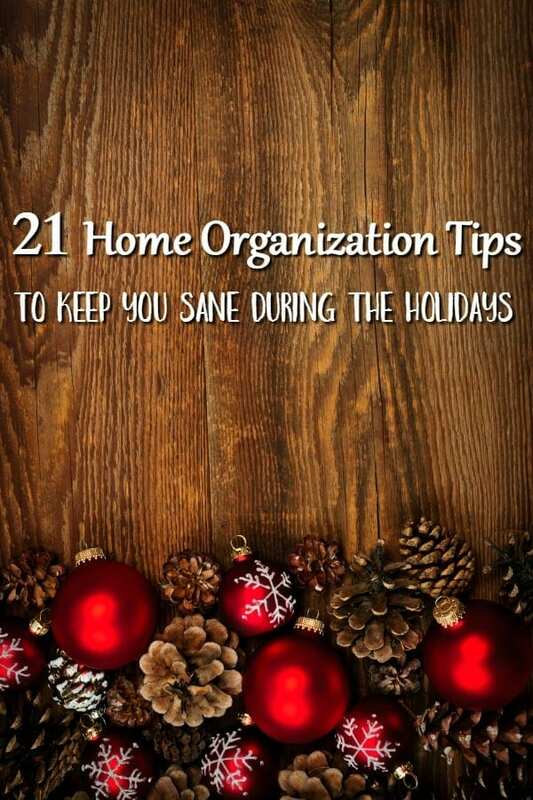 The second home organization tip for the holidays that I have for you ties in with the one above. You need to do what you can to save money. There are quite a few tools that can save money on Christmas, there are ways to save money on groceries and you can even use Amazon Prime to save money at the holidays on things besides shipping. Ebates, Shop Your Way Rewards, Checkout51 and iBotta are my favorite tools to use for holiday shopping hands down. Between the three, I can usually save 60% or more total on the holidays. I know that this doesn’t seem like an organization tip, but the truth is that if your finances aren’t kept in check, your entire holiday plan can (and likely will) fall apart. There are certain things that we all use during the holidays on a regular basis which means that you can stock up on those items ahead of time so that you don’t have to worry about having to add picking them up to your to-do list when the season is finally in full swing. Things like scotch tape are great to pick up while the back to school deals are going on. Gift wrap and holiday decor decor items can usually be purchased right after the holiday season for a very steep discount. Even gifts can be bought on sale throughout the year and saved for later. Just make sure that you use things like small totes with lids and gift wrap organizers to keep what you pick up from being scattered all over the house. If not, you’ll only make your holiday more stressful by having to chase them all down. One of my favorite places to get organizing supplies is to shop Dollar Tree for organizing bins and baskets. They’re cheap and reliable so it makes it a real no-brainer for me. We all stress about how our holiday dinners will turn out, but the truth is that the easier we can make it on ourselves, the better it will turn out. Ask your friends and family to bring a dish, start your cooking and baking earlier, order your meal holiday catered if you need to. The easier you can make it on yourself, the more organized you’ll be in other areas. You can also make the weeks leading up to your holiday dinner easier by planning a weekly menu and freezer cooking a few tasty freezer cooking recipes. You’ll be glad that you did. Planners, like your family budget, are a very personal thing and what works for one person may not be a great fit for another. This is an issue when you’re trying to stay organized during the holidays because if your planner isn’t working for you, you’ll only end up more disorganized. I’ve gone through several trying to find one that is a great fit and I finally stumbled upon the planner I currently use. I love that it helps me stay organized and that it’s budget friendly too. I use it combined with the Motivated Moms daily planner and bam! I’m uber organized! In addition to that, having a Christmas Gift Planner and a Thanksgiving Menu planner on hand will be a huge help too. Speaking of your planner, use it to help you break your holiday tasks down by weeks. Doing so will ensure that you aren’t trying to do everything at once. It can also help you delegate tasks to other people so that you have help. When you break things into weekly blocks, you’re able to prioritize what needs done first and what can wait. For instance, things like hanging holiday decor, polishing your silver, and pulling your serving trays out of storage can all be done a couple of weeks before Thanksgiving or Christmas. Once it’s done, mark it off of your list and move onto the next thing. Along with breaking up your tasks by week, using the weekends to your advantage can help you stay organized. Most of us are super busy during the week which can make trying to get things for the holidays done a very hectic situation. Instead, finish them on the weekends when life calms down a bit. I know it sounds counter intuitive, but giving yourself a solid deadline is a fantastic way to stay organized. You can set deadlines (in your planner) for things like having gifts bought, having gifts wrapped, having the menu planned, having the decorations put up and so much more. Then, once you’ve set your deadline, stick to it. A missed deadline was a pointless deadline. Have you ever walked into someone’s home only to be overwhelmed by a massive amount of decoration sitting everywhere? This, my friends, is decor overload. It’s easily avoided during the holidays though. To keep your decor from taking over, remove any non-holiday decor that you can before adding your holiday decor. Things like regular throw pillows can be replaced with holiday throw pillows, floral decor can be updated with holiday decor, kitchen towels and pot holders can be updated and so on. For some of us (sheepishly raises hand), letting go can be hard, but like I said above, you need to make things easier on yourself. To do that, you’re going to have to give up control and ask for help. Figure out what you can let go of and then ask someone that you trust to help. You’ll stay organized, you’ll be less stressed and yes, things will absolutely still get done. I personally love wrapping presents, but I absolutely hate running around my home chasing down things like scissors and tape. The easy answer to this is to create a wrapping station. You can buy special organizers for this but it can be done just as easily with things like small storage totes, wrapping paper organizers and so on. Having everything in one place will keep you organized. If you plan on sending holiday cards, make sure that you have updated your address book. Call or email the people on your list to get their current addresses before you mail. Then, once you’ve got all of the current addresses that you need, use a service like Postable to mail them. If you’re ordering custom cards, Shutterfly is a great option too since you can design the cards and they will mail them for you. Or, if you’re really feeling like sending holiday cards is overwhelming you, give yourself permission to skip them. There are other options that you could do instead. You could send out a mass email with your holiday family photos to update everyone or you could use a service like JibJab to send an e-card. The people on your list simply want to know what is happening with you and yours. They won’t care how they get that news. If you’re not a pen and paper person, using your phone to help you stay organized. There are apps available, like Evernote, that can help you make lists, keep track of spending and so on. Having these things at the touch of a finger is a fantastic way to stay organized. Using your phone is also a great way to save since most of the tools I mentioned above are mobile or can be used mobile. The thing with holidays is that sometimes, you get stuck between a rock and a hard place. Take Thanksgiving dinner for instance. It is quite easy to get wrangled into cooking too much, hosting when you don’t want to or even something like being invited to multiple meals. The simple truth is that while you might feel bad about having to choose, if you try to do it all, you’ll only end up stressed and in a hair raising situation. Instead, pick your battles and move on from the rest. Along with picking your battles, there’s one thing that a lot of us need to learn how to do. Say no. If you can’t make something, attend something or do something, don’t take it on. It will only serve to cause an uproar in your life that you could otherwise avoid. It might sound like its common sense, but when the holidays are done, you’ll need to put it all away. Make sure that you have plenty of organizing supplies to do so. Ornament boxes, wreath storage, Christmas tree bags and more can all help you store what you need to in an effective way. You’ll breathe easier knowing that you don’t have to fight to put it all away and next year will be even easier. After the holidays are over and you’re putting things away, take the time to do an inventory of what you have and what may need to be replaced to be ready for next season. This will prevent any surprise the next time you go to use something that may be past its prime and bonus – you may be able to take advantage of after-holiday sales and get next year’s items at a great price. Finally, take a deep breath. The holiday season is about family. It isn’t about gifts, turkeys or trees. Give yourself permission to just stop and breathe. It will help. I promise. This year I think we will finally be on top of things for christmas! We have been working all year to get our finances ready for it, and we know exactly what we need to do to make it all come together.